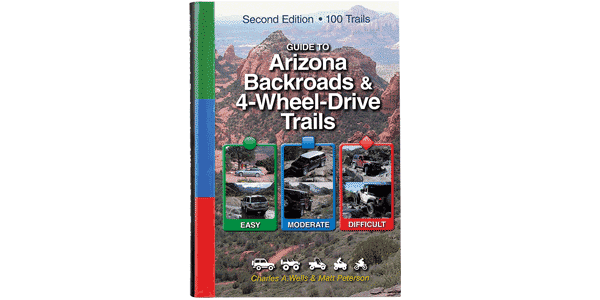 This package includes 100 trails with GPS located in Arizona. have done some but not all trail’s in area 5,4,3 and 6. Of course there is some changes as we was there in 2017. It was a blast thou and no big changes. Going to do area 7 with Grandson(wife is tagging alone too) in March 2019. We think all the books or great as we just started in 2016. Got a 2016 Wrangler (Oscar Mike) and have gone twice to Colorado and did Death Valley in Calif. using Fun Treks books and card in the GPS. Utah(got to get book and SD card for that soon) in around April in Fall of 2019. Keeps us from getting lost, Well most of the time, Ha Ha. No fun if don’t sometimes right?